Be warned: any preview of the redesigned 2018 Acura RLX is going to set your pulse racing. A striking new design language is melded with a sophisticated powertrain and world-class performance technologies to craft a luxury sport sedan that feels years ahead of all expectations. The 2018 Acura RLX is set to be one of the company’s most sophisticated and best-performing sedans ever. With inspiration clearly drawn from the exquisite Acura NSX supercar, the new model will call upon up to 377 hp when combined with 7-Speed DCT (Dual-Clutch Transmission) or up to 310 hp with Precision All-Wheel Steer and a new 10-Speed Automatic Transmission. The 2018 Acura RLX redesign should lead you to expect a masterful blend of power and precision as you command the roads of Plainfield, Aurora, and beyond, all while enjoying impressive efficiency. The 2018 Acura RLX is at its best when you’re cruising across highway and city, but it looks the part even when it’s in your driveway. The rear is accented by new LED taillights, exposed dual exhaust, and a gloss-black rear diffuser. 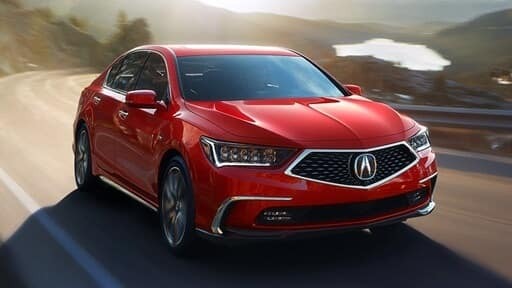 Up front, the new RLX will become the second Acura sedan to adopt the signature Diamond Pentagon Grille and the first to offer premium paint in Brilliant Red Metallic and Majestic Black Pearl. Stunning performance won’t be all that awaits you within the 2018 Acura RLX. 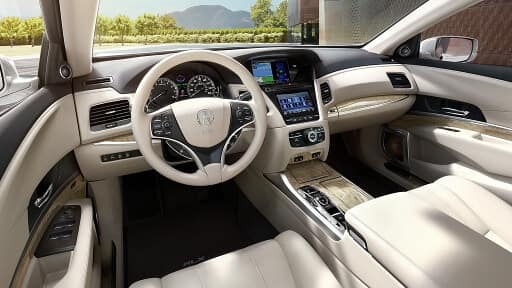 The redesign features a premium interior that demonstrates precision craftsmanship alongside class-leading dimensions. Sport seats boast deep bolstering along with high-contrast piping and stitching, and an electronic gear selector enhances style and convenience. Complementing the new exterior color options is an additional interior color choice: Espresso. New driver-assistance technologies will include Traffic Jam Assist, which automatically keeps you in your lane. It’s set to be included as a standard feature. Any vehicle inspired by the Acura NSX was always going to cause a stir, and the 2018 Acura RLX has certainly made an impression. If you’d like to find out more about the redesigned RLX in the lead-up to its release, contact Continental Acura of Naperville. Why Shop at Continental Acura of Naperville?